Without question, the entrepreneur is the backbone of the American economy, and it’s been like that since the country’s inception. Historical self-starters like Ben Franklin have laid the foundation for contemporary entrepreneurs like Elon Musk and Oprah Winfrey. And those household names don’t even begin to tell the story of the importance entrepreneurialism continues to play in dictating the health of the country and its economy. But in order to maintain its culture of independent leaders, America must figure out how to diversify both where these entrepreneurs are being funded and what these entrepreneurs look like. If we posed the question of naming popular entrepreneurs of the day, your list would likely include Steve Jobs, Mark Zuckerberg, and Warren Buffett. And you would be right, except you would be ignoring Melinda Gates, Beyoncé Knowles, Martha Stewart, and other females who have made a name for themselves by building their own companies. While we hear stats on how the gender gap is closing in the workplace, still less than three percent of companies that receive venture capital funding have a female as the CEO. And for many that carry the title of founder or CEO, initial funding is where much of the magic begins; that is what allows new ideas to reach the masses. New York has taken steps to address its own gender issues, launching a private-public partnership called Women Entrepreneurs NYC (WE NYC), specifically targeting underserved women and families in communities across the five boroughs to help fund their ideas. CITI Bank, Goldman Sachs, and Grameen America have all partnered with New York for its initiative to have females spearhead economic growth across the city. But this is just one step in a city that is already one of the few that receive the majority of venture funding. Add San Francisco, Silicon Valley, Los Angeles, and Boston to the mix, and you have a snapshot of where the majority of capital is being concentrated from these large venture firms. Access to funds is what kick-starts businesses and allows innovation to flourish. Having those funds funneled through a few key cities is limiting the amount of opportunity for other individuals, both men and women, to see their visions come to life. And while cities like Seattle and Boise are starting to see some of that attention thrown their way, it will take a more inclusive approach to investing in companies from the entire country for America to see its full potential. The White House is also attempting to do its part by hosting “White House Demo Day,” a tentatively scheduled summer event that will showcase entrepreneurial success stories from across the country. The goal is to show that everyone can be included in a startup community, regardless of location, gender, or any other differentiating factor. Executives at Macromark understand precisely what it takes to lead a successful company and can speak to the dedication and perseverance necessary to maintain success. We also agree that diversification in leadership positions are necessary and support initiatives that speak to this mandate. Zients, J., et al., “Showcasing America’s Entrepreneurial Story at the First White House Demo Day,” The White House web site, March 11, 2015; https://www.whitehouse.gov/blog/2015/03/11/showcasing-america-s-entrepreneurial-story-first-white-house-demo-day. 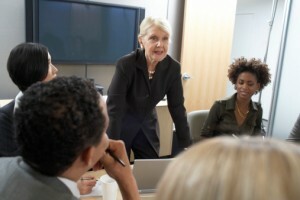 Keohane, G.L., “The New Recipe for Women Entrepreneurs to Find Success,”TIME web site, March 24, 2015; http://time.com/3755905/we-nyc-women-entrepreneur/. Inverso, E., “The World’s Most Powerful Female Entrepreneurs Of 2014,”Forbes web site, May 28, 2014; http://www.forbes.com/sites/emilyinverso/2014/05/28/the-worlds-most-powerful-female-entrepreneurs-of-2014/.